For our summer guests we have garden furniture, sun shade and a Weber grill. Feel at home also includes an infrared cabin (fee) to relax the muscles after skiing or hiking. For kids, we have many games, DVDs and CD'S. We are members of the Mountain Plus program of the Montafon, with numerous free attractions for young and old. 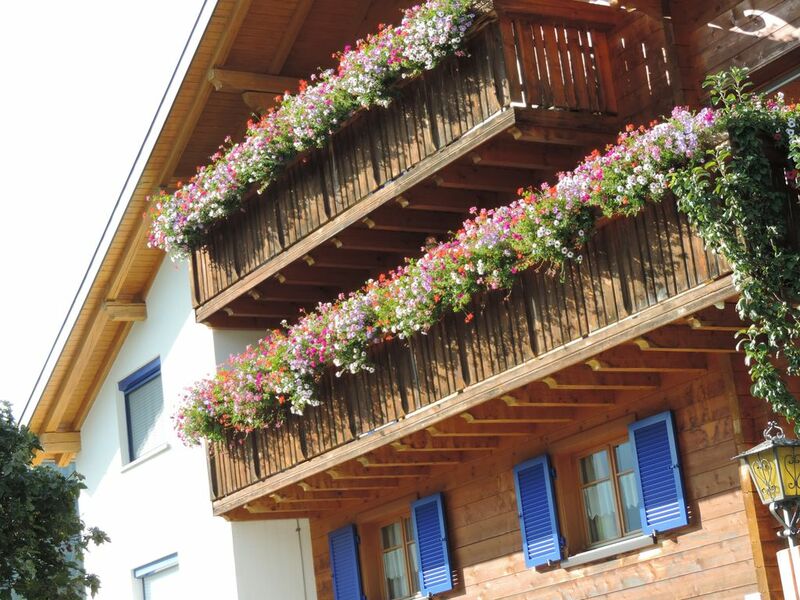 Awarded with 4 Edelweiss by the private landlord association and Vorarlberg. in the winter months, heated bench and tiled stove in our Montafoner Stube. We stayed in this apartment during 1 week in July 2018 and enjoyed it a lot. It is spacious apartment, very well equipped kitchen and useful separate living room area on top of 2 bedrooms and kitchen area. Also possibility to sit outside in sun/shadow at all times. The owners are very friendly and helpful and there are lots of activities to be done in the area. All in all we had a great time!! The only watchout is that ceilings are at 2M height, so not too convenient if you are >1.90m.